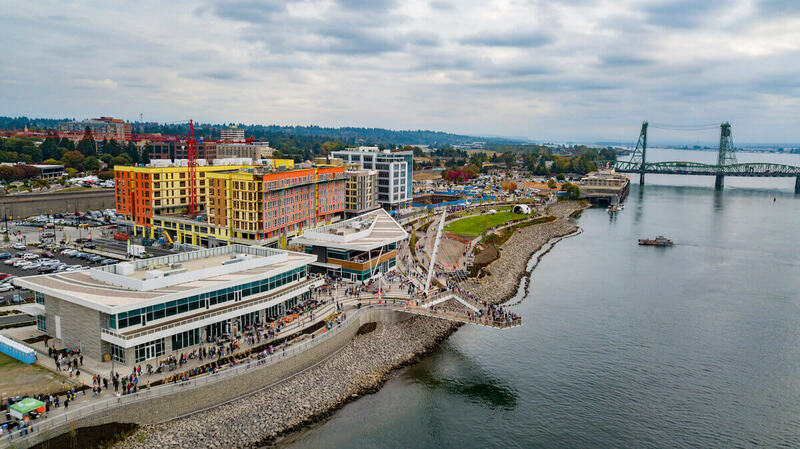 The Waterfront-Vancouver USA is destined to be Vancouver, Washington’s largest commercial, urban development to date, valued at more than $1.5 billion. The development brings a vibrant mix of retail, living and green spaces to the city, as an extension of the downtown core’s reconnection to the waterfront. By reclaiming nearly 32 acres and 20 city blocks of available property, the planned environmentally conscious design will reflect the spirit of the Pacific Northwest with urban-friendly space and ample transportation links to the city, region and world beyond. Master planned for up to 3,300 housing units, 10 park acres, 1.25 million feet of office space and 250,000 square feet of retail and hospitality space. The first phase, breaking ground in 2016, will create a prominent entry from downtown and provide a dynamic entertainment and service district along the waterfront.